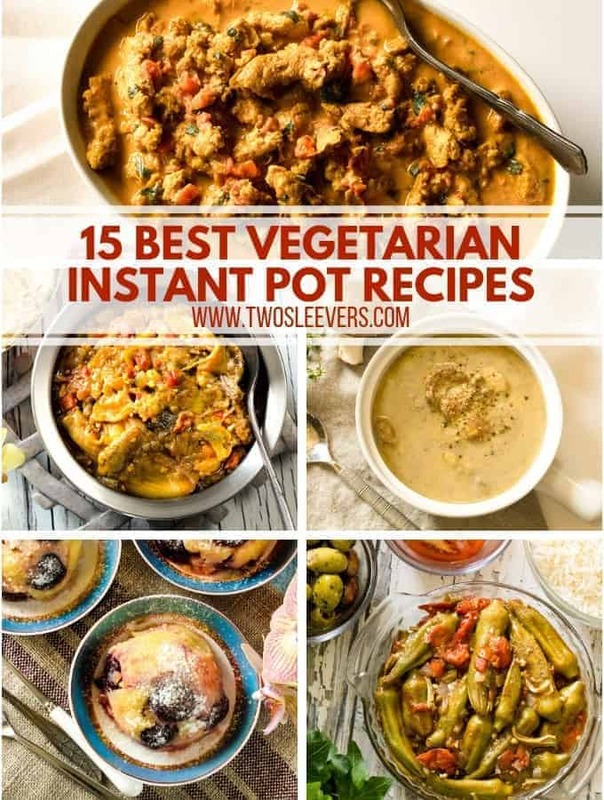 Home » 15 Best Vegetarian Instant Pot Recipes You Need to Try NOW! These are the 15 best Vegetarian Instant Pot recipes that you absolutely must try now! I don’t care if you’re not vegetarian, and I don’t care that it’s not Meatless Monday at your house. These Vegetarian recipes are extremely tasty, nutritious, and because you’re making them in your Instant Pot or Pressure Cooker, you know they will be fast. And let’s be honest, since they’re my recipes, you also know they will be stupid simple. What more can you possibly need in order to be convinced? Make restaurant-style Indian Dal Makhani at home in your pressure cooker but without spending all dang day on it. I mean don’t get me wrong. 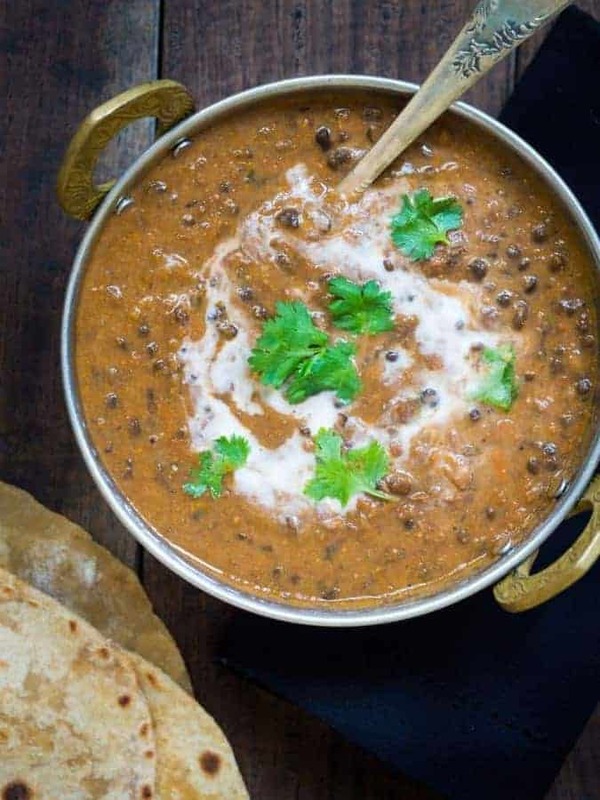 It’s TOTALLY worth spending half the day cooking this Dal Makhani. But why? Why do that, making it the old-fashioned way, when you could just let your Instant Pot do all the work for you? 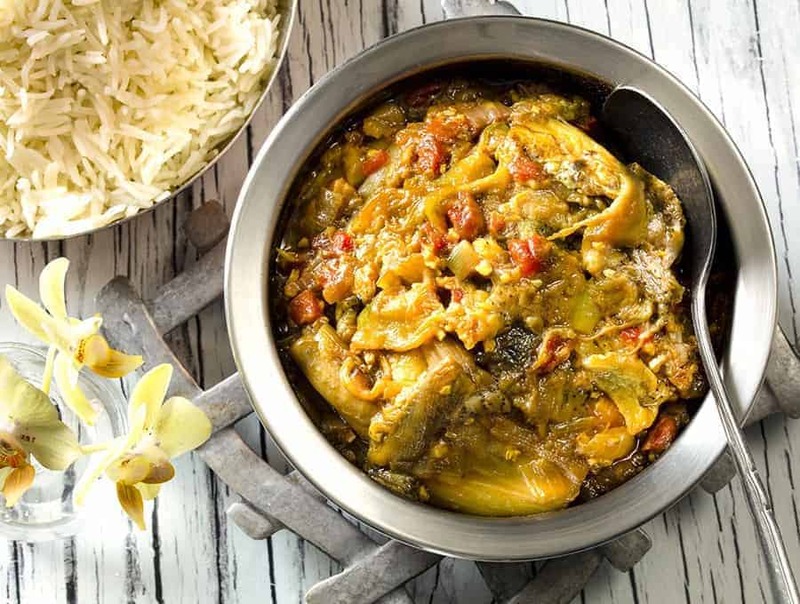 Make a traditional Indian Baingan Bharta or Eggplant Bharta in your pressure cooker or Instant pot. What insane person tries to make baingan bharta, a dish known for its distinctive smokiness, the delicate charring that comes from broiling, in an Instant Pot? Me. That’s who. And you should make it too. 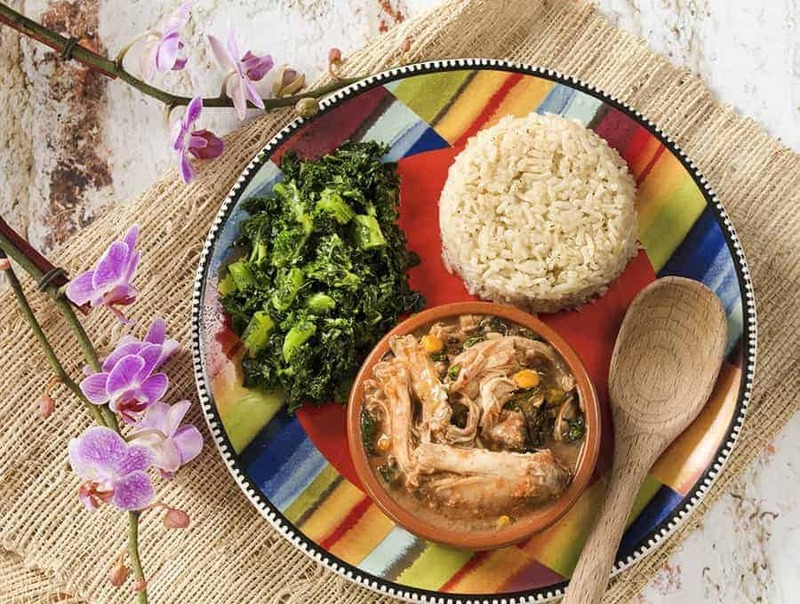 On a cold day, there is absolutely nothing better than this West African Groundnut Stew! It’s nutty and delicious and is the perfect comfort food! And with fall and winter right around the corner, this recipe will make a perfect weeknight dinner recipe to keep you warm! Very easy to make vegetarian. I originally made it with chicken but you absolutely don’t have to. I’d use butternut squash, potatoes, and other hardy vegetables. Short Hindi Lesson folks. Aloo = potatoes, Gobi = Cauliflower. Now you know. 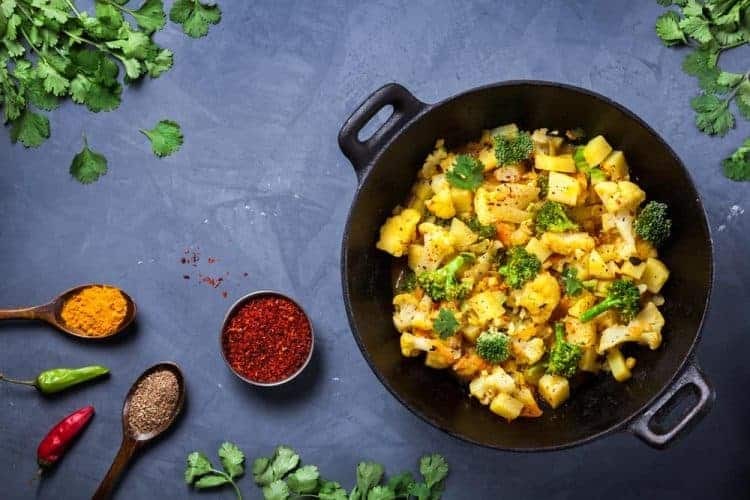 Aloo Gobi is a pretty standard dish at most Indian Restaurants, but it’s actually quite a staple for home cooking as well. Learn how to make this delicious vegetarian Instant Pot recipe at home so you can enjoy it too! 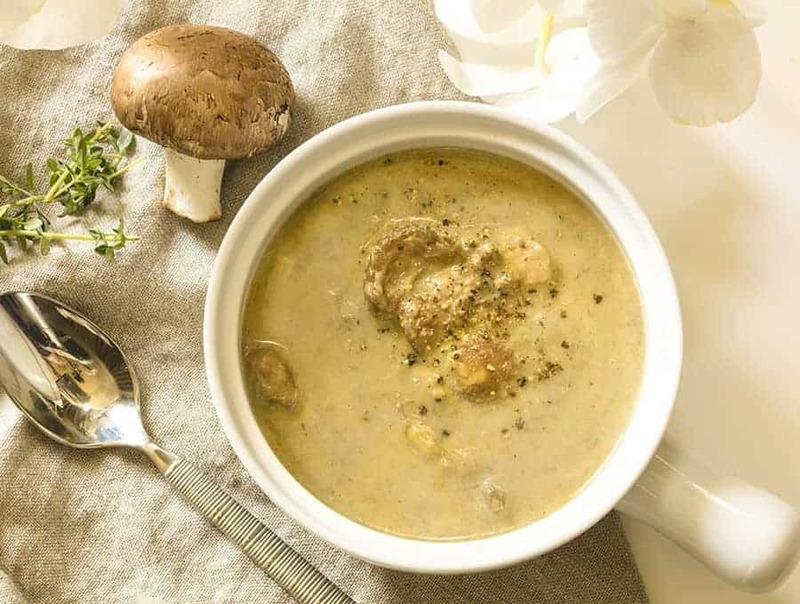 Instant Pot Cream of Mushroom soup–or rather, SPICY cream of mushroom soup–tastes like the canned soup you may have grown up with, except with a twist. It’s gluten-free and it has just a little kick of spice from one ingredient. And since it’s not from a can, it’s SO much better! If you’re looking for a quick vegetarian Instant Pot recipe, this is the recipe for you! 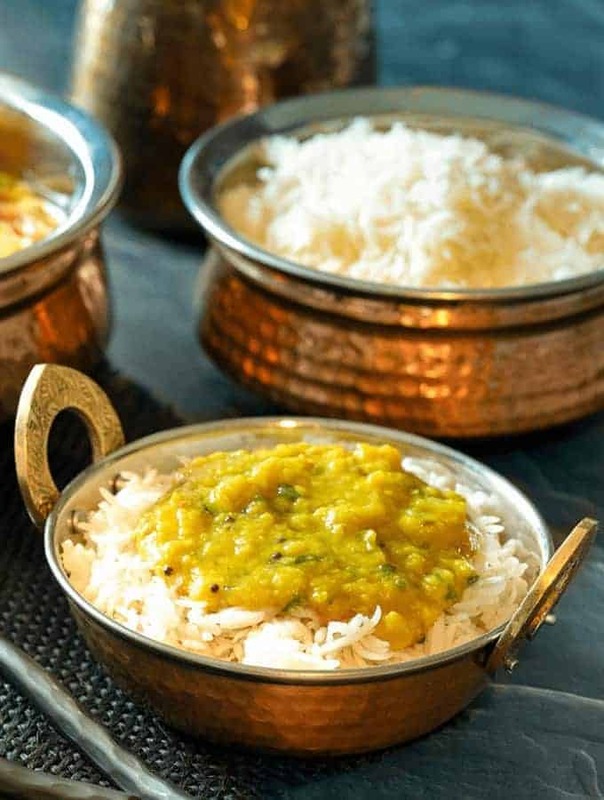 It’s a deliciously nutritious vegetarian dish that’s done in less than 15 mintues. And who doesn’t love a dish that’s quick, easy to make and delicious? 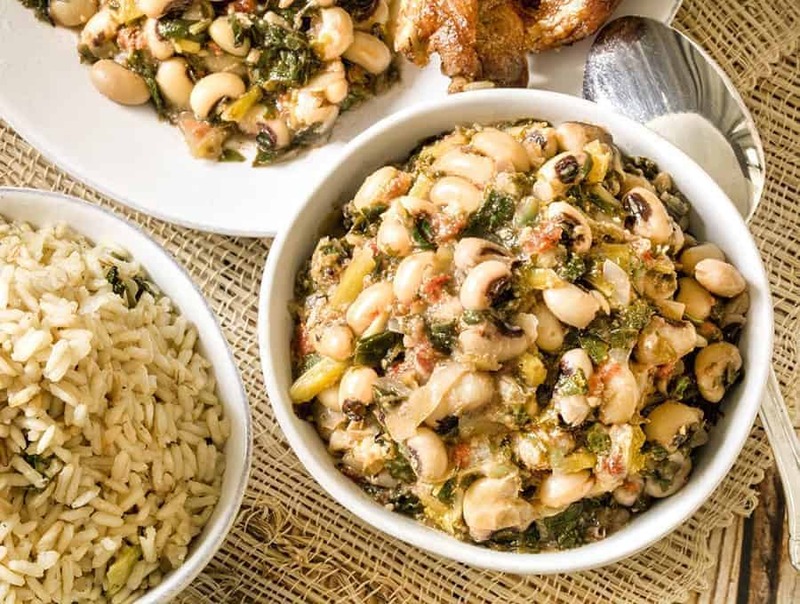 Instant Pot Kenyan Kunde is a nutritious recipe with black-eyed peas and peanuts that makes a yummy, filling vegan recipe in your pressure cooker. 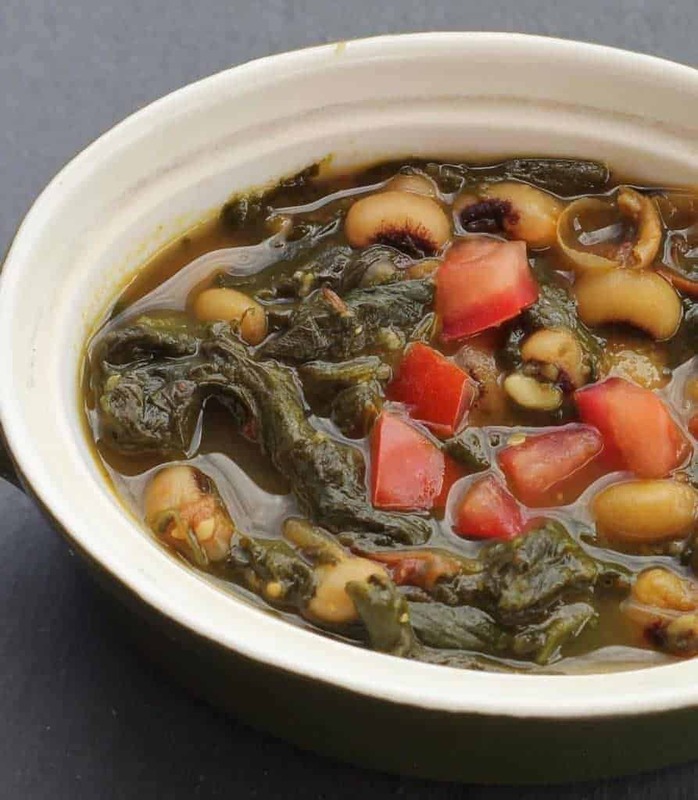 This recipe takes advantage of the Instant Pot’s ability to make beans without having to pre-soak them. And that means less time spent preparing the food and more time available for enjoying it! 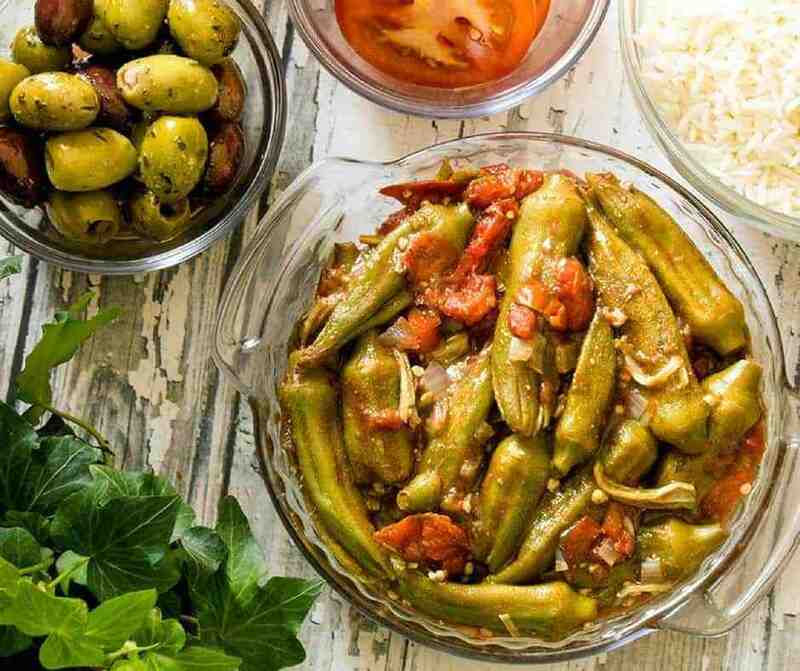 Mediterranean Bamyeh Okra and tomatoes is a great quick and vegan option and a fast way to make an okra stew in your Instant Pot or Pressure cooker. I know, I know. You hear Okra and you think slimy. This is not slimy. And it’s oh so delicious! If you ever thought of making Indian Palak Paneer or Spinach with Paneer was complicated, here’s the recipe that will convince you otherwise. And if you’re not familiar with Indian Palak Paneer, do yourself a favor and familiarize yourself by making this recipe in your Instant Pot. You’ll thank me later. 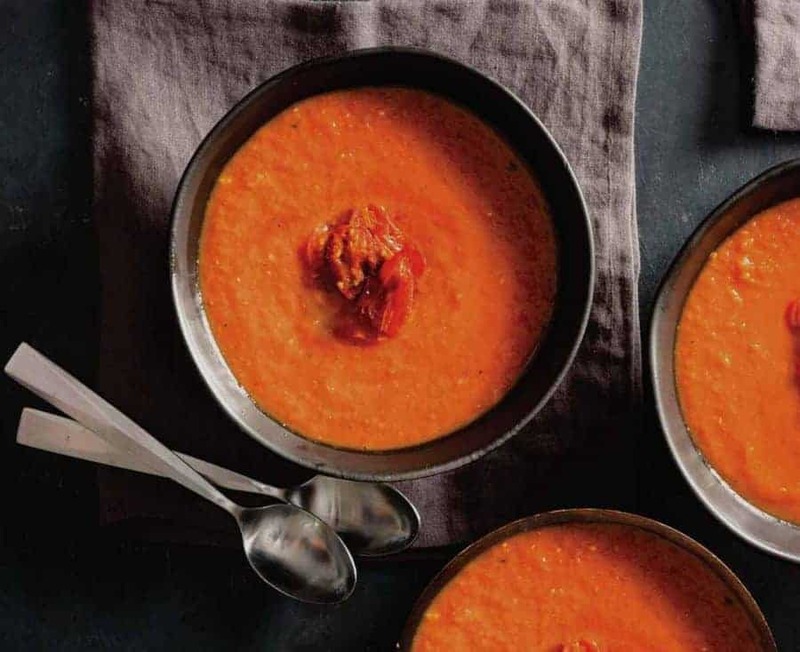 This deliciously warming, comforting and spicy Coconut Tomato Soup is another delightful vegetarian Instant Pot recipe you can make quickly and with minimal effort. It’s a simple dump and cook recipe that’s great for those weekdays when you don’t really have the time to cook something long-winded! 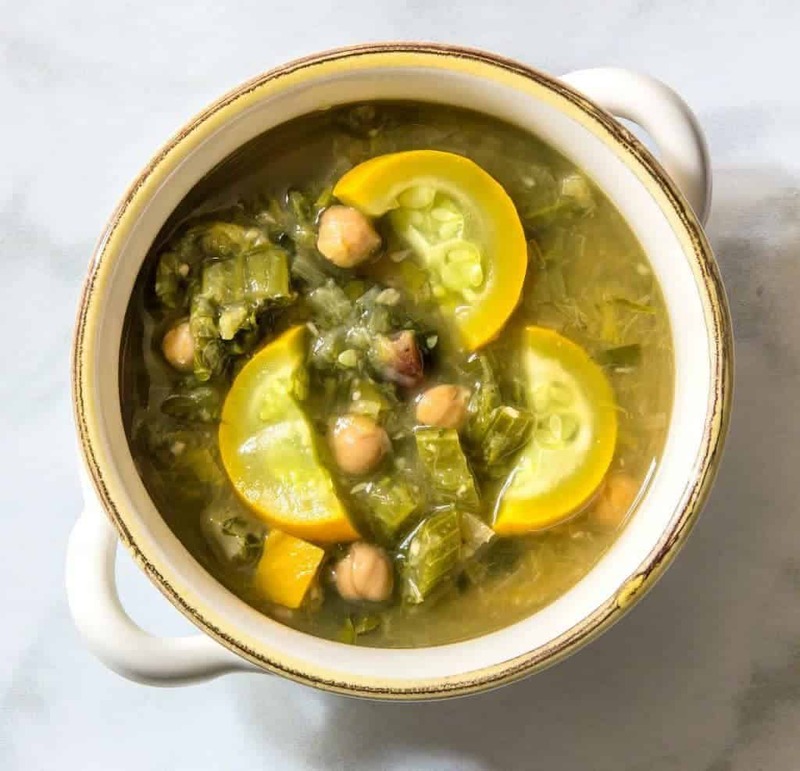 This summer soup is filled to the brim with chickpeas, rainbow chard, and yellow summer squash. Garlic and parsley give it a fresh taste for a chickpea soup everyone can enjoy. Not to mention it’s done in under 30 minutes! This Instant Pot Cauliflower and Cheese recipe is a creamy, delicious side dish that you can make in your pressure cooker for the ultimate low carb comfort food! 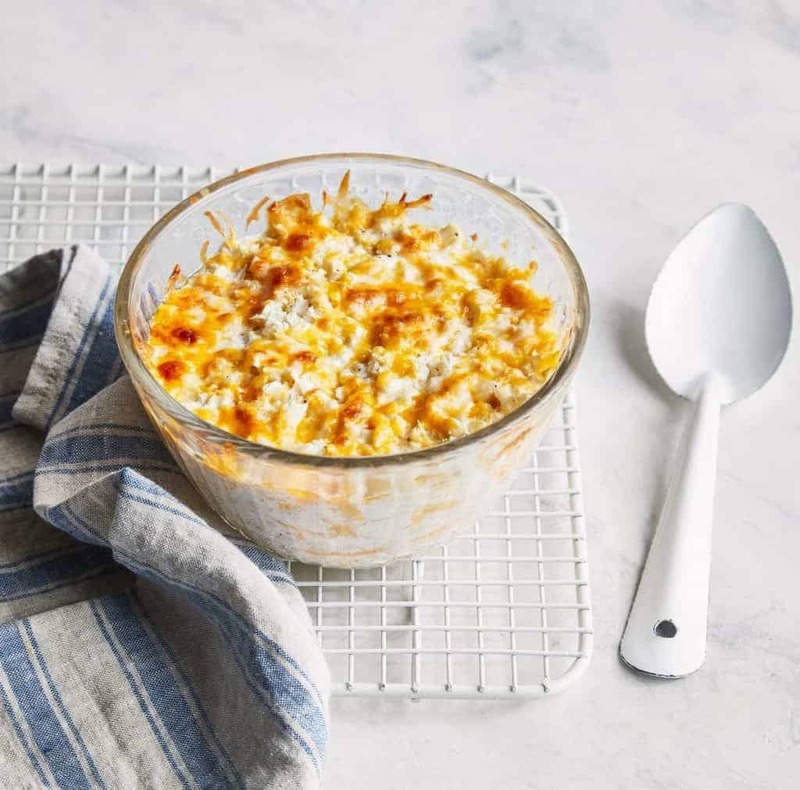 It’s gives you all the delicious cheesiness of mac and cheese without all those pesky carbs. It’s a win win situation that you’re sure to love. 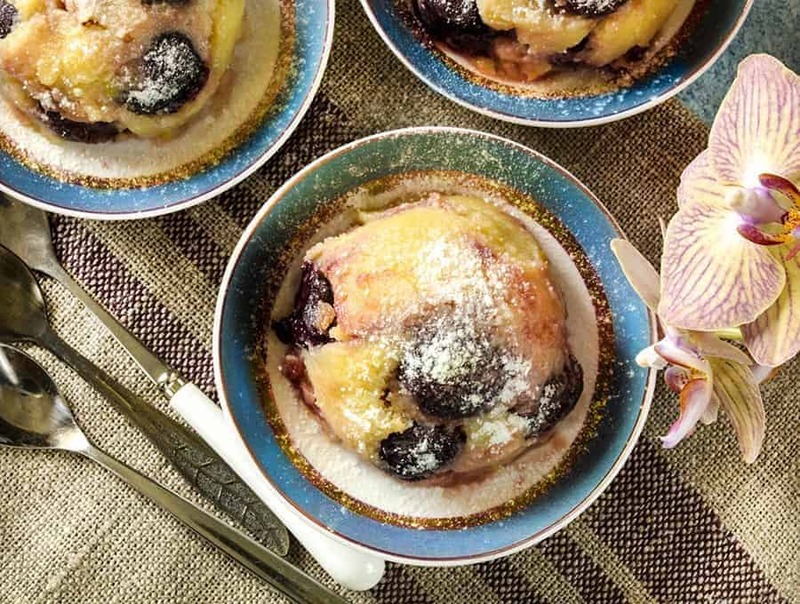 Vegetarian doesn’t mean just vegetables, and this Instant Pot Cherry Clafoutis drives that point home like no other. It’s an easy yet elegant French dessert you can make right in your Instant Pot! It’s super easy to make so you can impress your friends with a fancy French dessert without having to break a sweat. 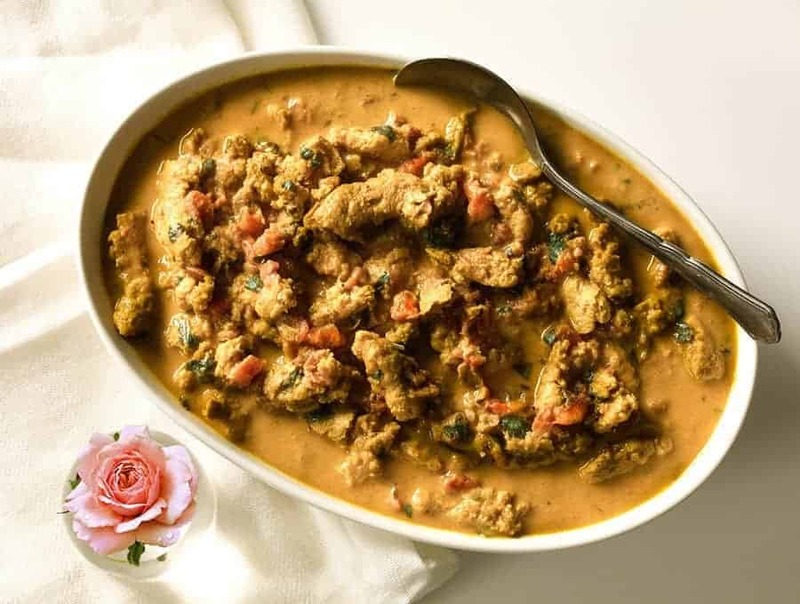 This is the vegetarian version of my famous TwoSleevers Butter Chicken recipe, so it’s no surprise to see it topping the list of my 15 Best Vegetarian Instant Pot Recipes. It has all the delicious flavors of the original in an irresistible vegetarian version that you’re sure to love! So there you have it! 15 of the best vegetarian Instant Pot Recipes that you absolutely, positively HAVE to try. But don’t take my word for it, get to cooking and try them for yourself!